Discover why Monaco ranked #54 in our countdown of ‘100 Most Incredible Cities in the World’. The Grand Prix, the casino and the royal family. First thing’s first: most people get the whole Monaco/Monte Carlo thing mixed up. Monaco is the name of the country (the second smallest in the world after The Vatican), while Monte Carlo is one of its neighbourhoods/suburbs, the most famous one really where you’ll find the Charles Garnier masterpiece that is The Casino de Monte-Carlo and the lovely Hotel de Paris. 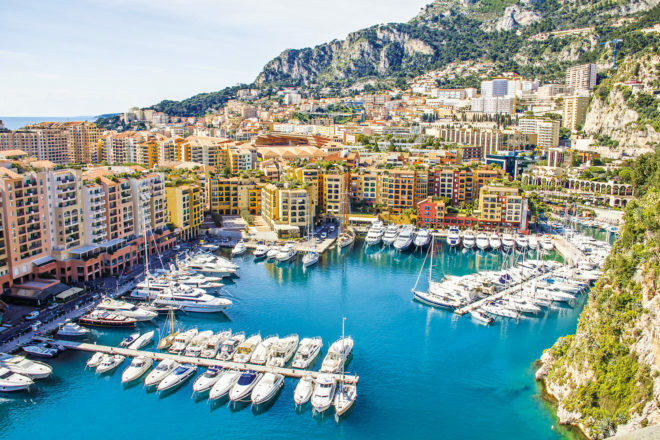 While it may be small in size, Monaco makes up for this in glamour: the absolute best way to arrive into the principality is via helicopter from the nearby Aeroport Nice Cote d’Azur. Upon disembarking from your international flight, you are delivered to the heliport and strapped in as the rotor roar above you. The seven-minute journey takes you out over the waters of the Mediterranean and along the rugged coastline, peppered with beaches and mansions. As it nears the landing heliport located on the water’s edge, the sites of Monaco come into view including the Prince’s Palace of Monaco, the stronghold of the reigning Grimaldi family since the 13th century.